Opposite Samtal Factory NH-91, G T Road Ghaziabad - 201009, U.P. 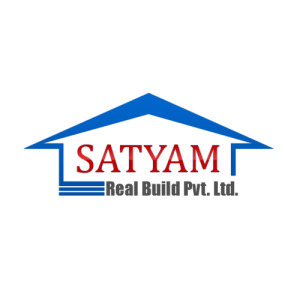 Satyam Real Build Pvt Ltd was established in 2004 and has been a well-known real estate enterprise in Delhi NCR ever since. Their mission is to maximize the highest levels of satisfaction of their customers by providing the finest quality and timely delivery of their projects. They aim to be one of the leading names in the real estate industry by creating breathtaking structures infusing aesthetic designs and the latest technology. Satyam Real Build Pvt Ltd have created remarkable residential and commercial ventures like Vayu Enclave Phase 1, Sai Dham, Vayu Extension to name a few. They also specialize in freehold plots for various purposes. Satyam Real Build Pvt Ltd offers customized solutions as per a client’s specific requirements. These projects are also known for the great location advantages they offer. Under the dynamic leadership of Mr. Kamal Chaudhury along with a qualified team of experts Satyam Real Build Pvt Ltd have crossed milestones of success in the real estate industry. Satyam Real Build Pvt Ltd also focuses on being eco friendly as an initiative for saving the planet.